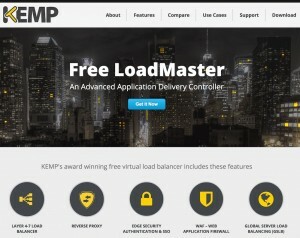 Yesterday I learned that Kemp has released a Virtual Load Balancers for FREE! So I couldn’t wait to give it a spin in the Lab and show how easy it is to deploy on VMware and create a load balanced web service. 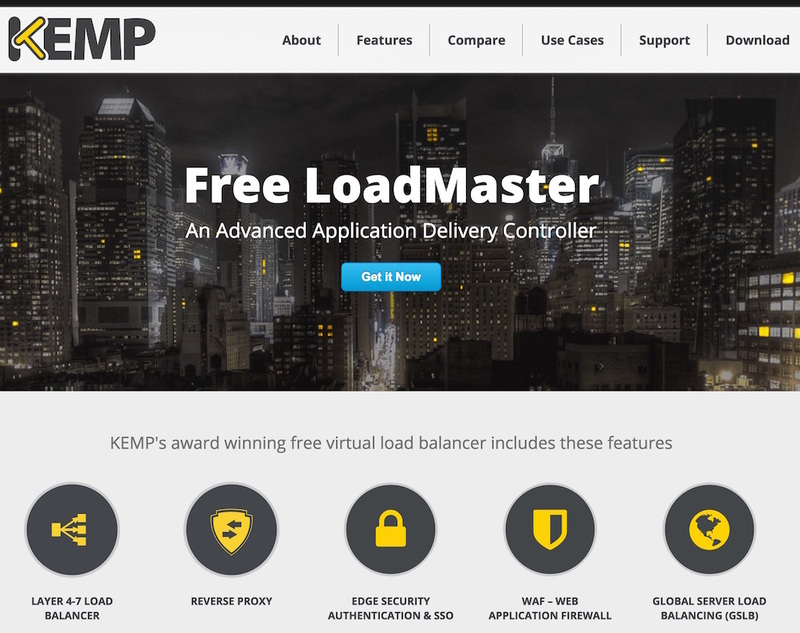 In the past I’ve done some projects with the Kemp load balancers and I’m quite impressed with the ease of installation and stability of the product. The Free LoadMaster does not have all features available compared with the full commercial version. 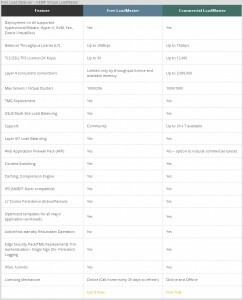 But it is perfect for SMBs, Dev & Test environments or other applications. 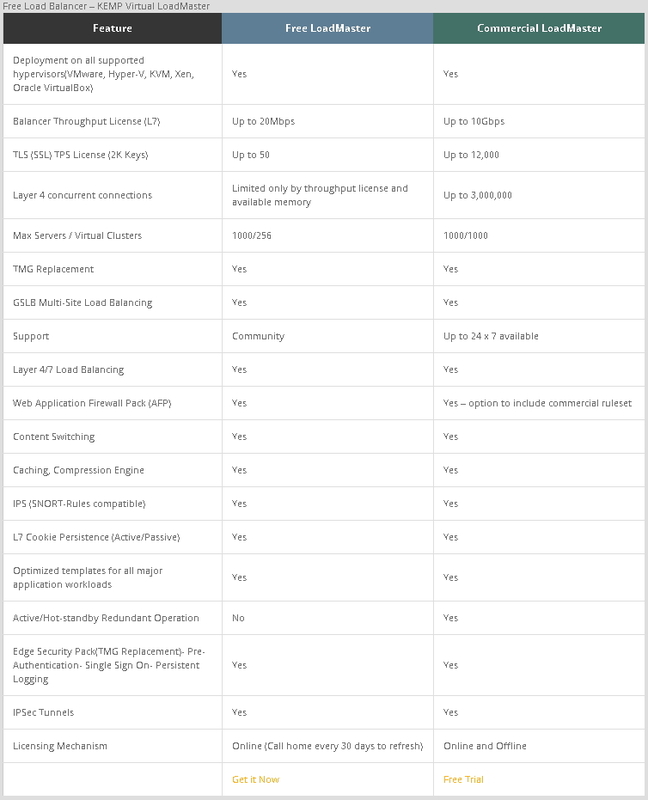 The comparison between the free and the commercial version is shown in the table below.